The XS Sport Men's Solid Sport Hoodie w/ Zipper and Pin-Dot Camo Shoulder & Chest delivers a great feel with the durability and breathability of a performance garment. It's great for spring. Material is good. Love it! 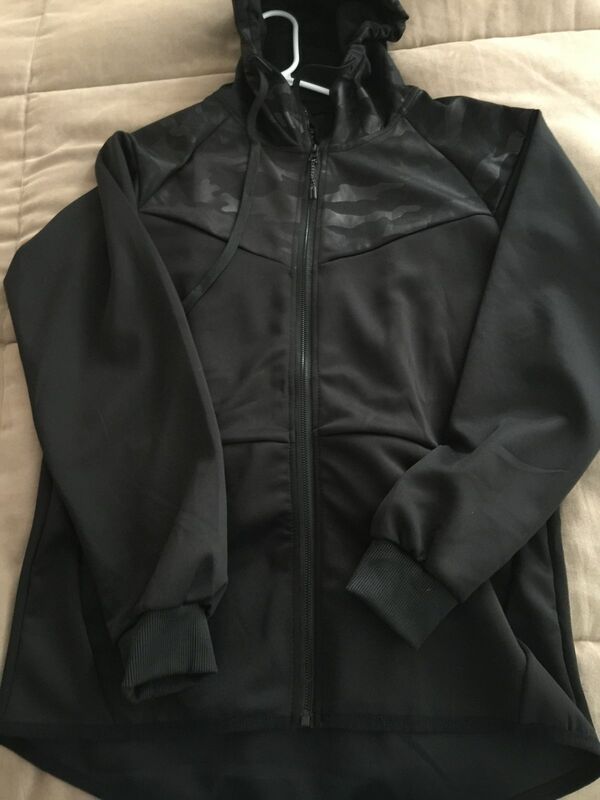 Terry L. Reviewed by Terry L.
Item is light weight and works a a layer under a jacket. The thing I don’t like about the hooded sweatshirt is the cheap zipper. Difficult to zip up and is on the side it would be on a ladies jacket. The fit, quality and styling of this article of clothing is excellent. The price just made it an outstanding value. Jeffrey H. Reviewed by Jeffrey H.
Looks great. Performance material is lightweight and fits great. I bought this as a set. Very very very nice !